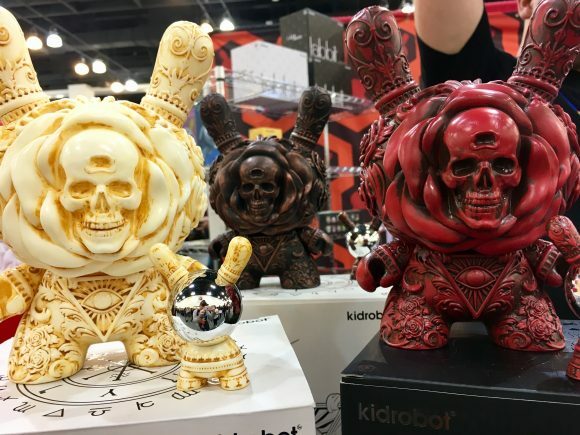 Kidrobot crushed it at last years Designer Con 2016, and were thrilled to be in such good company while we were there! 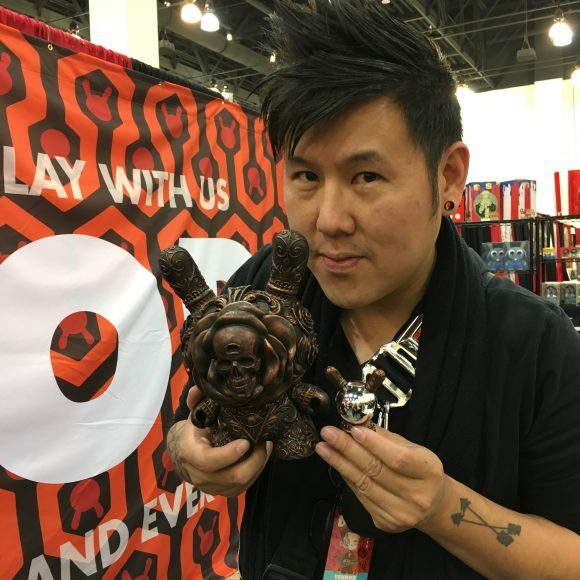 In addition to Jordan and Chris from The Horrible Adorables, original Mad Balls creative Josh Groman and Scott Tolleson all having a presence at the Kidrobot booth, artist J*RYU took part in live paintings of the newly sought after Clairvoyant Dunny releasing this Friday, January 13th on Kidrobot.com. Using the hashtag #kidrobotknowsthefuture all our fans were entered to win a one-off of J*RYU’s x Kidrobot’s new Clairvoyant Dunny. 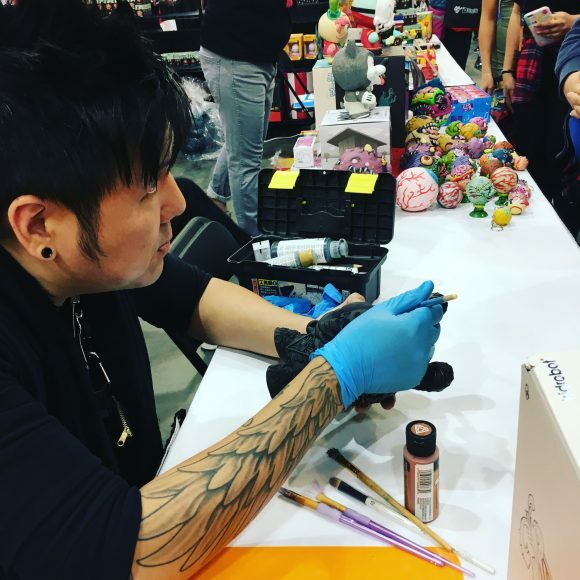 Each day J*RYU painted a figure live at the booth, one in bronze and one in silver while answering questions about the piece. While displaying the vinyl artifact, fans stopped to examine the intricate details of the Dunny and the darkened skeletal centerpiece that greets any new pair of eyes. So it’s no mistake that the figure will release on Friday the 13th as this Dunnys mysterious appeal partnered with the crystal ball accessory, is a piece of vinyl fortune that gives a glimpse of the Kidrobot x J*RYU future….